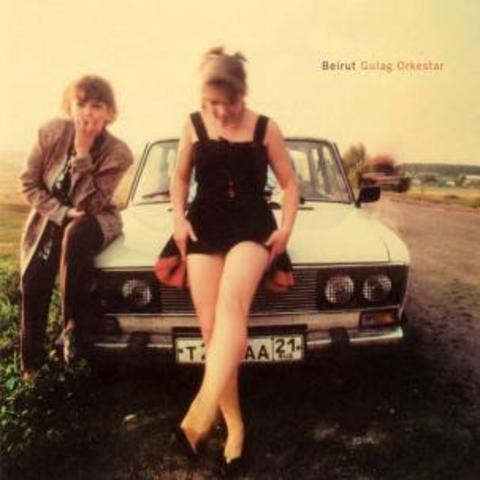 While it may sound like an entire Balkan gypsy orchestra playing modern songs as mournful ballads and upbeat marches, Beirut’s first album, Gulag Orkestar, is actually the work of 19-year-old Albuquerque native Zach Condon, with an assist from Jeremy Barnes (Neutral Milk Hotel, A Hawk and a Hacksaw). There are no guitars on this album; instead, horns, violins, cellos, ukuleles, mandolins, glockenspiel, drums, tambourines, congas, organs, pianos, clarinets and accordions all build and break around Condon’s deep-voiced crooner vocals, swaying to the Eastern European beats like a drunken twelve-member carnival band. Though young, Condon has already recorded several albums of astonishing diversity. He recorded under the name Real People when he was fifteen, crafting an electronic record inspired by his love of the Magnetic Fields. At sixteen, he recorded an entire doo-wop album that sounds a bit like like Frankie and the Teenagers. Although he was a straight-A student, in 2002 Condon dropped out of school to travel Europe, cavorting and partying with the locals wherever he went. During one of these evenings that he was first exposed to Balkan gypsy music, blasting from an upstairs apartment. Condon went to investigate, and stayed up all night with a Serbian artist, going through albums country by country, note for note. 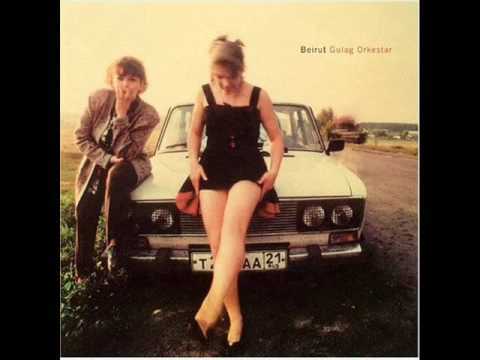 Gulag Orkestar is the direct result of what he learned that night. This past winter, Condon headed to Sea Side Studios in Brooklyn’s Park Slope where, along with Barnes and A Hawk and a Hacksaw’s Heather Trost, he added percussion and violin overdubs to his original compositions. The resulting record sounds like a Neutral Milk Hotel from behind the iron curtain (for those playing along at home, look into the Boban Markovic Orchestra). Gulag Orkestar is a glorious sweep of music, striking in its emotional content and stunning in its scope.